The 2013 Infiniti G37 Coupe sees minor updates to the interior colors and trim, and the Coupe’s base trim level has been discontinued. The 2013 G37 Coupe is a rare animal. Infiniti has mastered the balance of luxury coupe with performance coupe in the G37. 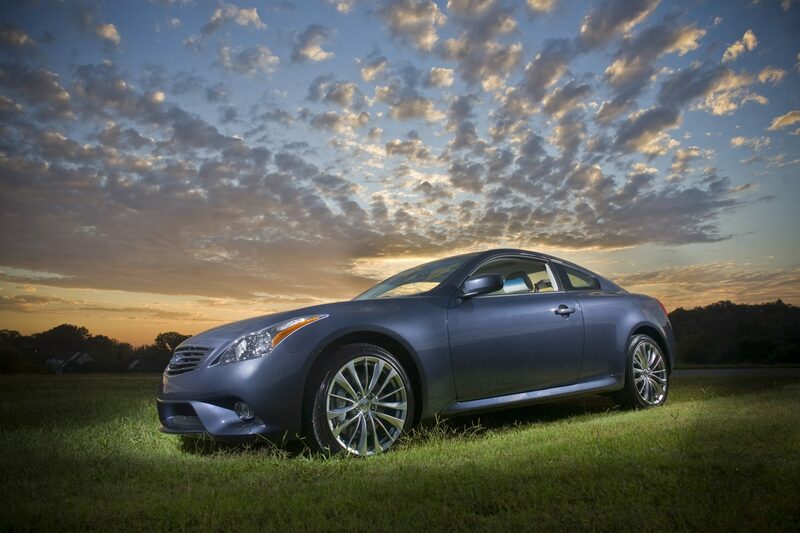 The G37 Coupe’s lean yet athletic stance is striking, with curves in just the right places and a bold front fascia. When you roll up in the G37 Coupe, people will know you’ve arrived. The (new) base model G37 Journey comes standard with 18-inch alloy wheels, automatic xenon headlights, fog lamps, heated mirrors, and keyless ignition/entry. All Infiniti G37 Coupes, except the IPL model, are powered by a 3.7-liter V6 that creates 330 hp and 270 lb-ft of torque. The IPL G37 Coupe’s engine puts out an impressive 348 hp and 276 lb-ft of torque. EPA-estimated fuel economy for the automatic rear-wheel drive is 19 mpg city, 27 mpg highway, and 22 mpg combined. 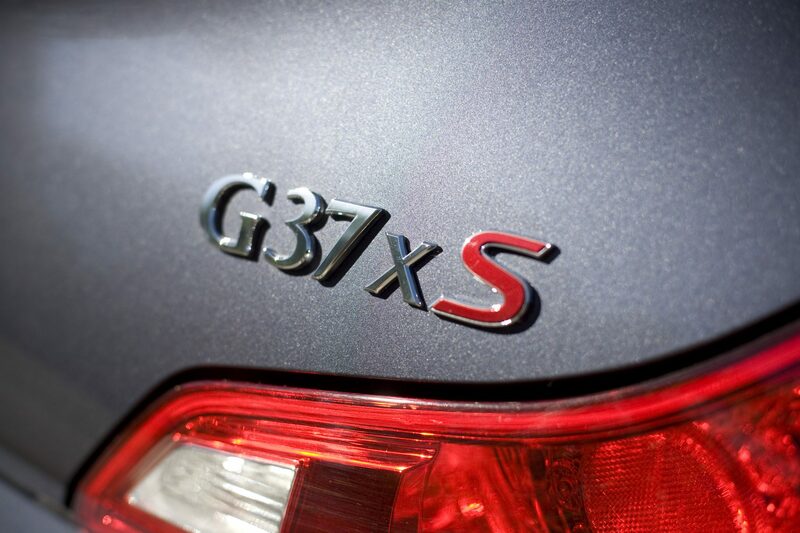 The G37 Sport trim with the manual transmission gets 17 mpg city, 25 mpg highway, and 20 mpg combined, and the G37x trim is estimated to get 18 mpg city, 25 mpg highway, and 20 mpg combined. The 2013 Infiniti G37 Coupe’s interior is welcoming and comfortable. High-quality materials like the available leather-accented magnesium paddle shifters and the Japanese “Silk Obi” brushed aluminum trim (or optional wood trim), add to the rich interior. Clean, modern design elements are combined with intuitive modern technology to round out the G37’s interior. The seats are bolstered, making them supportive for performance driving, and comfortable for everyday commutes. The 2013 Infiniti G37 Coupe comes standard with antilock disc brakes with brake assist, stability and traction control, full-length side curtain airbags, front-seat side airbags, and active front head restraints. An optional Technology package uses the adaptive cruise control sensors to detect an imminent impact and automatically pre-tension the seatbelts. 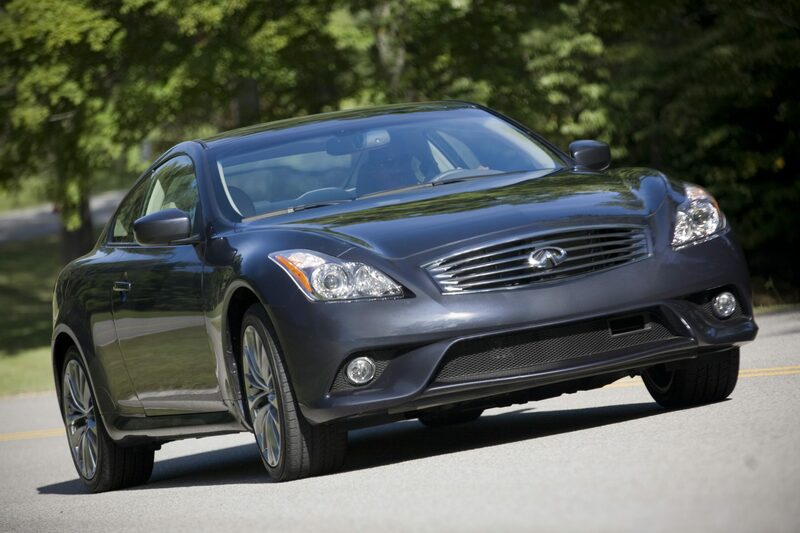 The 2013 Infiniti G37 Coupe earned the Insurance Institute for Highway Safety’s highest score of “Good” for frontal offset and side impact protection tests.